We at STAC have a long history of working with the childcare sector. The list of happy customers is very long indeed, with the training of staff from creche and Montessori in many parts of the country. "It was an enjoyable day, I thought it would be boring but it wasn't. Everything was explained and we were given a chance to ask questions." "The course was great, everybody got involved and were motivated to learn.The instructor was great, very enthusiastic and was very good at explaining the sections." 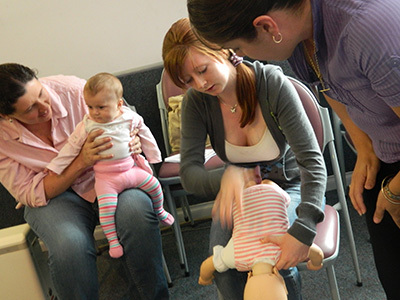 We can run short informal sessions to give you the basic skills that may be very useful some day.